Great old scene...I remember scenes like this from my childhood, I caught the very end of it but am grateful to know. This scene is much older than me but the sights and sounds were much the same into the early 50's, longer on some roads and areas. Note roundhouse left background. Also, narrow gauge "track" behind switch stand for baggage wagon. Nice to see things go full circle as this little fellow is back home in St. Thomas after 75 years! Retired 12/1960 and sold 1961 to Andrew Merrilees (D) Toronto. Merrilees 51 at their yard West Toronto 7/1961. Leased to York Steel in Toronto, later LASCO in Whitby, Ont. Elgin County Railway Museum in St.Thomas 8/1994. Nice eh? Looks very well designed and like it belongs with steam locomotives. Looks as if the builders plate is intact after all that time and class designation D-3 painted back on. Nice bell on the far front. Excellent visibility both front and back. It is 0.8 km from my house to the College..I could park that fella in my garage (it's diesel) and then park it the bay connected to the school where we have our simulators. Just need to lay 0.8 km of track, good project for the Civil Techs and the Mine techs can help out as well. You know, it's nutty enough up here that you could do it. While I'm talking crazy nonsense, how about if this was the epitome of Diesel advancement, it could not go further than this. Steam of course is on Version 50.0 with advancements we cannot even imagine. Exhaust is pure water vapour, nothing else. Heat source? Di-Lithium Crystals? Perhaps in some quantum universe. 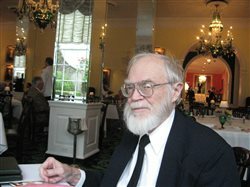 Wabash ran across Southern Ontario between Detroit-Windsor and Buffalo-Fort Erie. 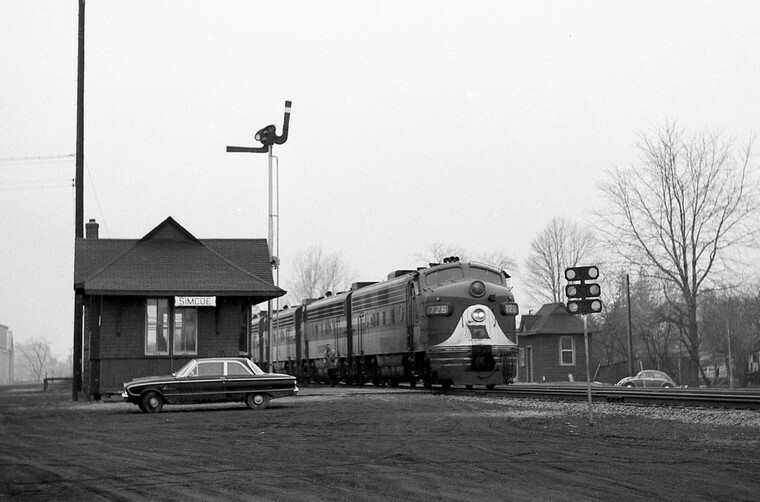 Basically it was a competitor to the New York Central Canada Southern. Their Canadian HQ was in St. Thomas along with a roundhouse and steam locomotive backshops. 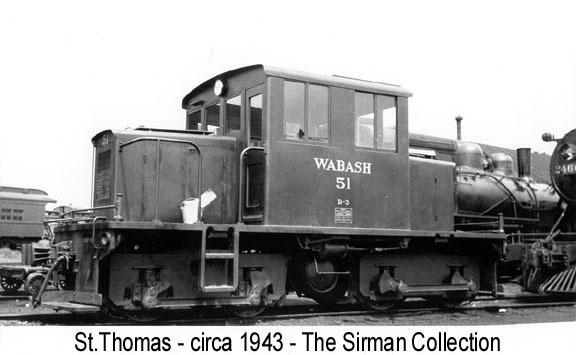 Wabash even ran a passenger train St. Thomas to Niagara, later cut back to Jarvis and then discontinued in the 50's. 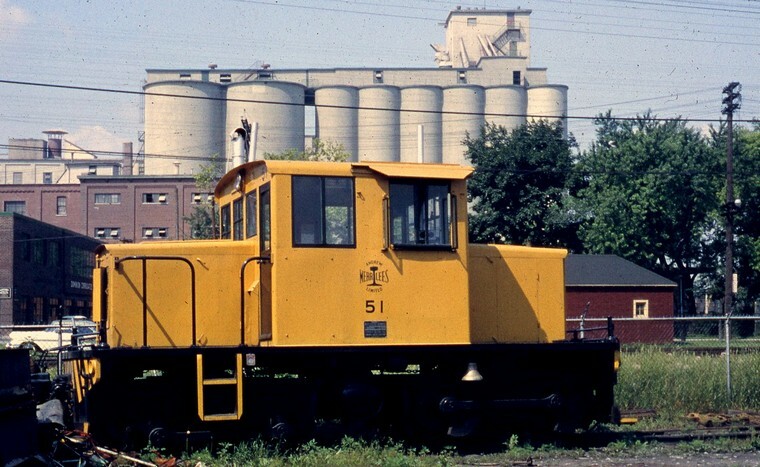 I have only seen one photo of this train near its end with a lone Diesel and one combine. 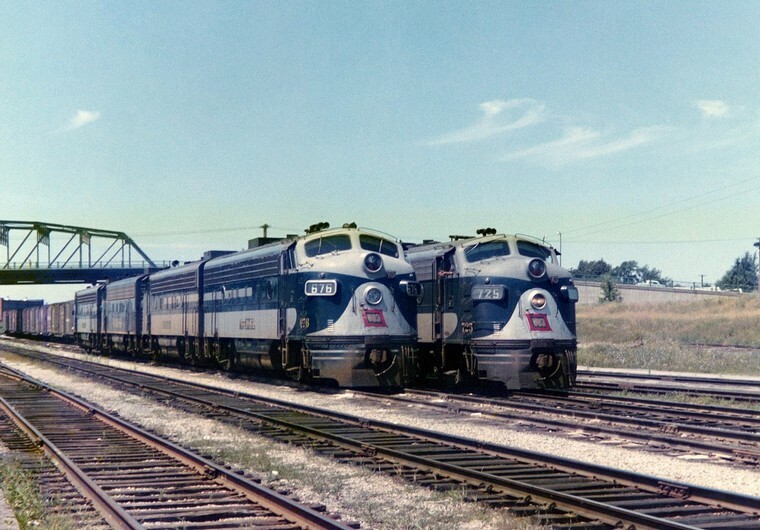 St. Thomas was the halfway point and the New York Central and the Pere Marquette were there as well. Later these became Penn Central, Conrail, Chessie, CSX, N&W, Norfolk Southern. Grand Trunk as well, later CNR. CPR and London and Port Stanley Interurban. Busy place! Now nothing is left. The historic St. Thomas trainshed remains, one roundhouse and some of the loco shops all ex-CN and run by the very impressive St. Thomas historical group. They retain a beautiful cosmetically restored CNR Hudson 5700. The Simcoe scene is one I remember well as it was close to our family's farm and our home away from home. This is a newer station having replaced the beautiful Edwardian station. This was the last place I saw a Pere Marquette steam locomotive. 2 of them actually simmering away in the summer sun. I do not recall Wabash steam on the line but the F's were a daily sight and you could set your watch by it. Speaking of Wabash, please allow me sharing an underrated movie of their famous named train "Blue Bird"; a good example of how to convince the customer to patronize the train service again. The remaining shops are actually ex-Canada Southern, not CN. 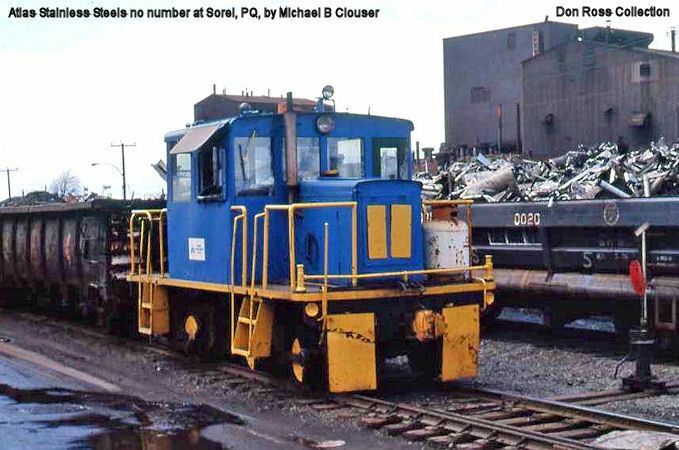 Backshop-- Well yes historically but CN/CP took over the CASO purchasing it from Conrail, in order, as Overmod has well pointed out over the years, to dismantle it, or as he stated ' ritual murder' and avoid serious competition. You are quite right however, so thanks for pointing that out. Now if someone could only find a pic or 2 of that elusive Wabash passenger train, probably the least known Wabash train and passenger service anywhere in Canada. The only parts they really wanted were the Detroit River Tunnel and full ownership of the Buffalo-Fort Erie International Bridge, which of course are the 2 busiest segments left operating. The anthisis of the Richard Anderson and EHH school of railroad managment and customer service. My 1948 OG shows Wabash already freight only in Canada. I'll raise you three years--my November 1945 issue shows freight service only. Not exactly sure when their passenger train was discontinued. They joined forces with the CNR and ran a joint train for a while. I know I saw the picture, in colour too! The train was at Jarvis Ontario. Might have been a Sunrise book. It likely was after WW2 the service ended. CNR had other passenger trains on this now lifted line. Bullet Nose Mountains were the norm. There is a painting of one at the Jarvis station with a long string of green and gold passenger cars in a town hall in Jarvis. Maybe I saw that photo there too. Just can't seem to remember but I recall being quite astonished. I have read that the Wabash passenger train was never very popular. It was put in because of political pressure to fufill an obligation of good faith in providing service to Ontario. Also read the train was inaugerated with a lot of hoopla but as stated it never became popular and was lightly patronized. Still would like to find that picture or any picture of that train. 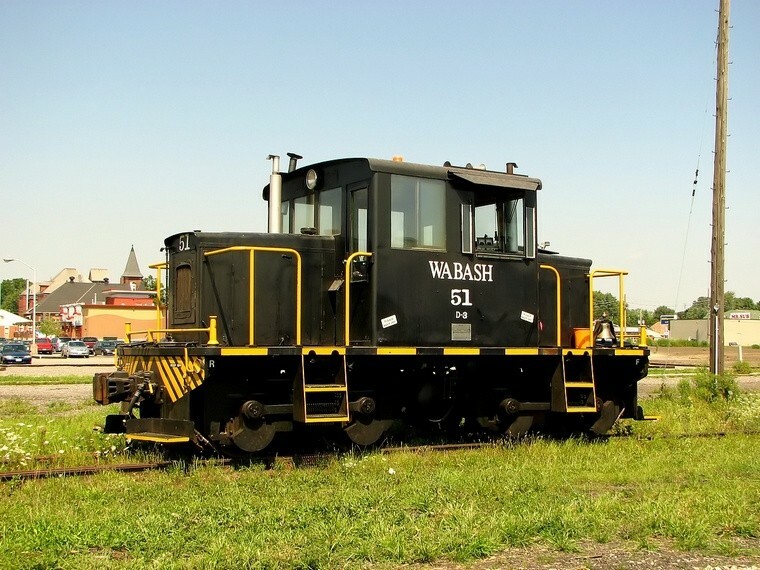 I can't find a pic of Wabash passenger train in Canada since there are many pics on the web only showing the engine without any information of where the photo was taken. It won't be easy but I will put it on my pic searching list! Come to think of it there are very very few pictures of Wabash or Pere Marquette steam in service between Detroit and Buffalo through Ontario. Pere Marquette had their own rails Detroit- St. Thomas, trackage rights thereafter. The only pics in abundance are all Diesel era Wabash and N&W and C&O, Chessie, CSX. They exist though. There is a restaurant in Simcoe that has 3 pics of Pere Marquette steam in Simcoe prominently displayed and framed. Thinking 99% of any of these pics are 'one of' privately held and seldom venture out of the shoebox or family album. The 2 roads ran steam for a very long time, the PM even had branchlines. WABASH sounds just right to me for a NS+BNSF merger in Century 21 too, does it not? In all the towns and hamlets throughout this mighty land. Carry him home to Glory on his Wabash Cannonball! OK, I modified the lyrics a bit. So what? Somebody had to do it! Aw, what the heck, here's the original performed by Roy with some back-up by Charlie Daniels and Boxcar Willie, with "Night Train to Memphis" thrown in. 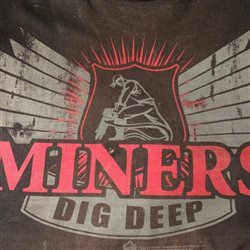 Listen to this, and you can almost smell the coal smoke, steam, and hot valve oil, and you'll know why steam will never truly die. All Right Flintlock! I'm gonna nominate you to receive an honorary CMA award because you deserve it! You're right, steam will never die, but neither will Mr. D's Machines piloted by brave engineers as they approached grade crossings all across America and Canada, the throttle in Run 8, Chime airhorns sounding 14L, and Mars lights sending lighted warnings along polished tracks ahead!